Julie Tongs is a tireless campaigner for Indigenous people. A Wiradjuri woman, Julie has worked at the Canberra hospital, bridging the gap between Indigenous patients and hospital staff. She has also advised an Aboriginal affairs minister. 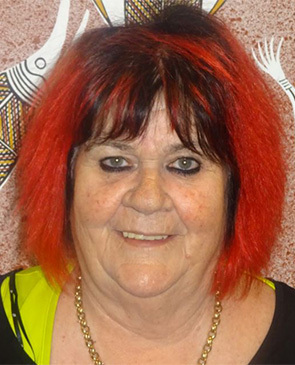 For the past 14 years, Julie has run the Winnunga Nimmityhah Aboriginal Health Service in Canberra. A success story in Aboriginal health, Winnunga provides a holistic approach to health and wellbeing. Outgrowing small premises in north Canberra, Julie oversaw the move to Narrabundah, where doctors, dentists, midwives and counsellors mix with art teachers, boxing instructors and mechanics. Julie believes there is no point treating a person for a single ailment without looking at other aspects of their life. So, in addition to health programs provided by Aboriginal health workers, Julie has established and expanded life-skills options, such as a youth diversion program, a boxing club and a home maintenance program. She has also been instrumental in Winnunga developing a health care model for Aboriginal prisoners, but she believes Winnunga is critical in helping to prevent Indigenous people going to jail by treating alcohol and drug dependencies. Julie believes it is critical for Winnunga to improve the health of Aboriginal and Torres Strait Islander people.